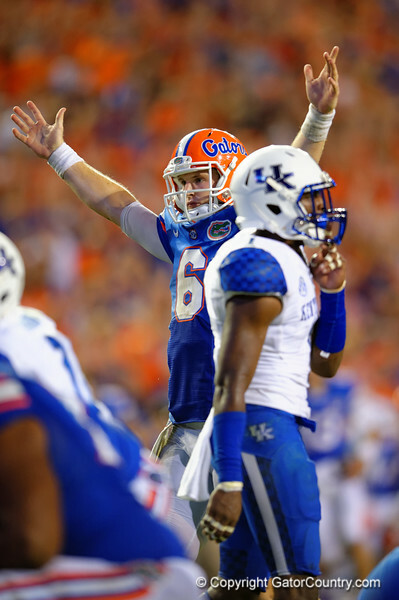 Florida Gators quarterback Jeff Driskel raises his hands into the air as the Florida Gators win in triple overtime versus the Kentucky Wildcats. Florida Gators vs Kentucky Wildcats. September 13th, 2014. Gator Country photo by David Bowie.